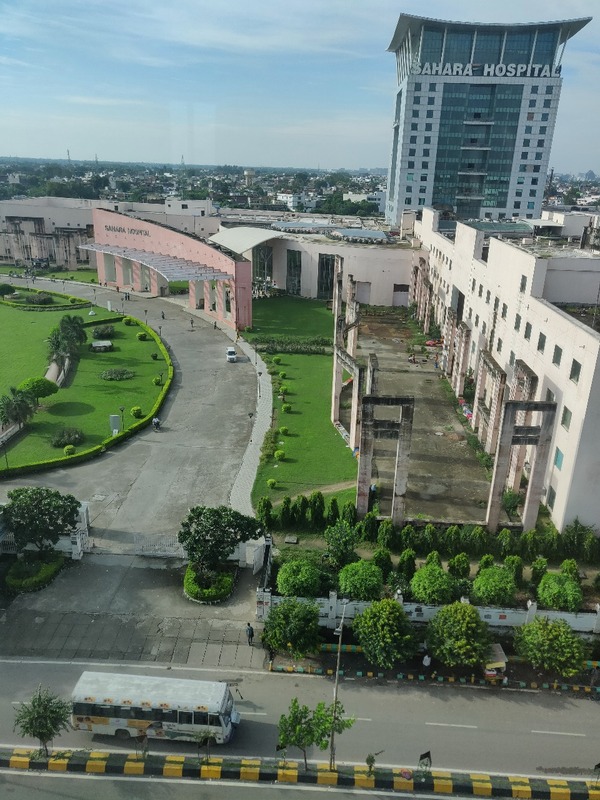 Gomti Nagar is that upmarket part of the city which is well-planned with many independent houses of businessmen and bureaucrats, as well as offices, malls and hospitals. It is located about 15 km from old city attractions like Imambara and Chowk. 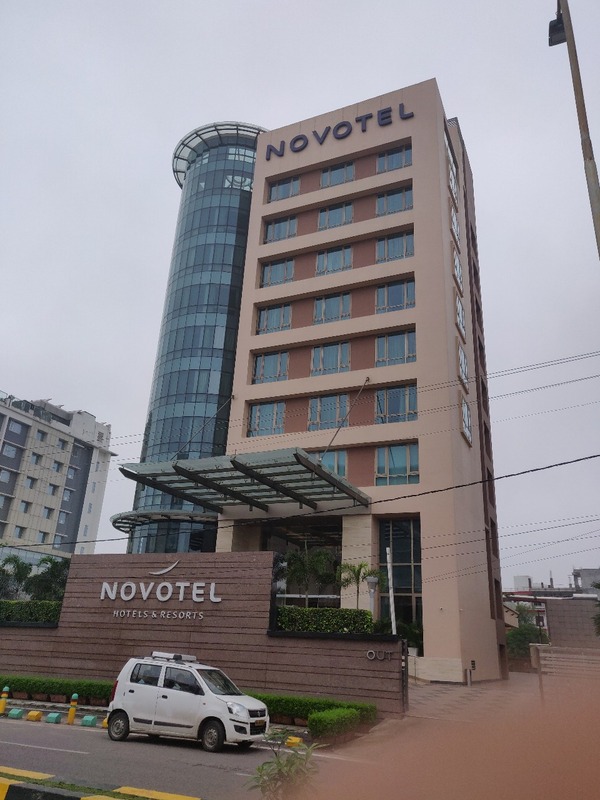 Novotel is located at a prominent place and is easy to find, it is bang opposite the entrance of Sahara Hospital in Viraj Kund area. 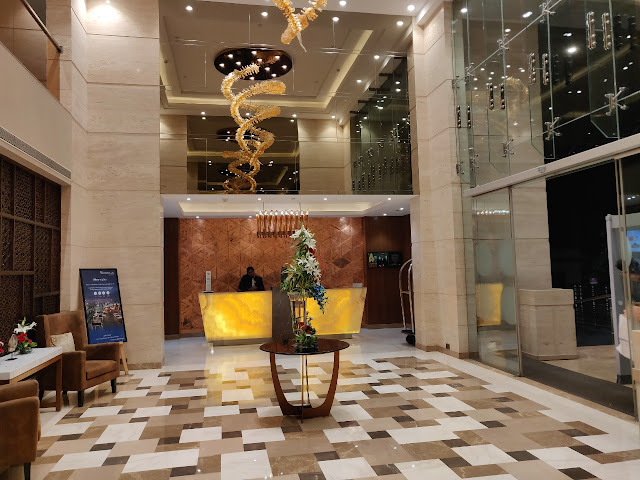 We reached the hotel by cab from Nirala Nagar around afternoon. We were welcomed heartily by the front office staff. The L-shaped lobby where we would spend a bit of time over the next few days was clean and elegant. In the first floor is the all-day dining restaurant “The Square” serving buffet as well as a-la-carte pleasures. 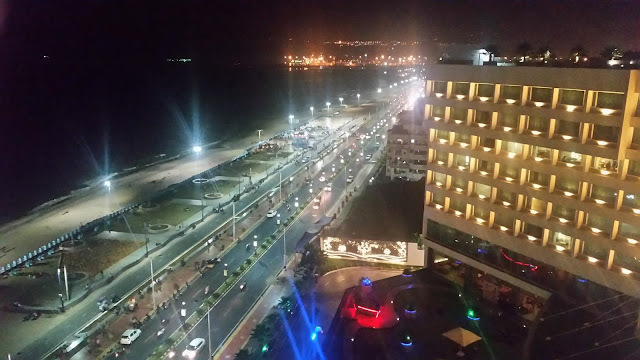 The front office staff took down our Accor card details and as per our request provided with a room with a view. We were allotted a room on the top floor, overlooking the road below, the hospital in front and greenery to our left. The room was compact with all the adequate modern amenities, but what I loved most was that one could enjoy a look at the vast Lucknow skyline from the comfort of the room. Over the next few days we really appreciated the housekeeping of the hotel, anything asked for was delivered in a few minutes, and the pleasing demeanour of the staff was an add-on to the service. 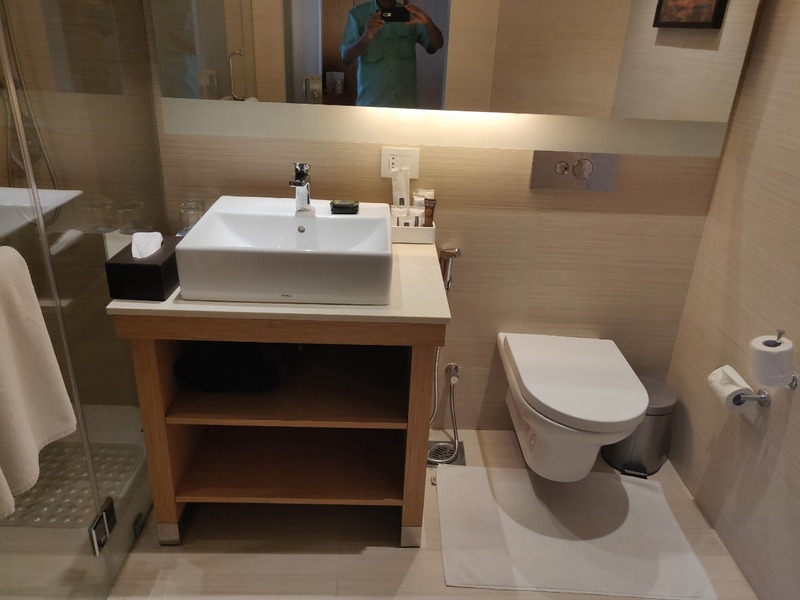 The hotel has around 100 rooms. Only one restaurant The Square was operating during my stay. We did not use the swimming pool or spa as I was recovering from a fracture in my left hand, and my arm was just out from the cast, and pretty painful still. 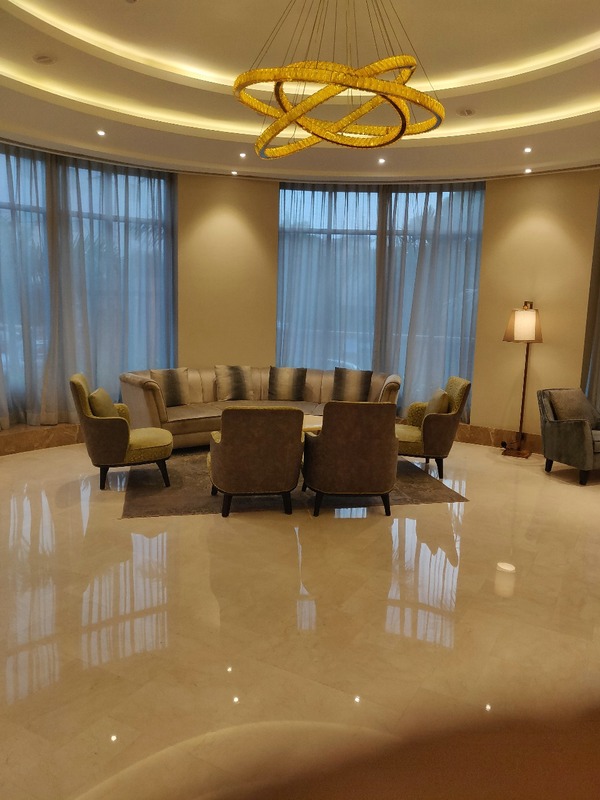 I had known Mr.Raj Singh, the General Manager of the hotel since his stint in Hyderabad. After a quick nap, I rushed down to meet him at his office to get some tips about the must-try street food places in the city. Raj and his colleagues immediately came forth with their suggestions. 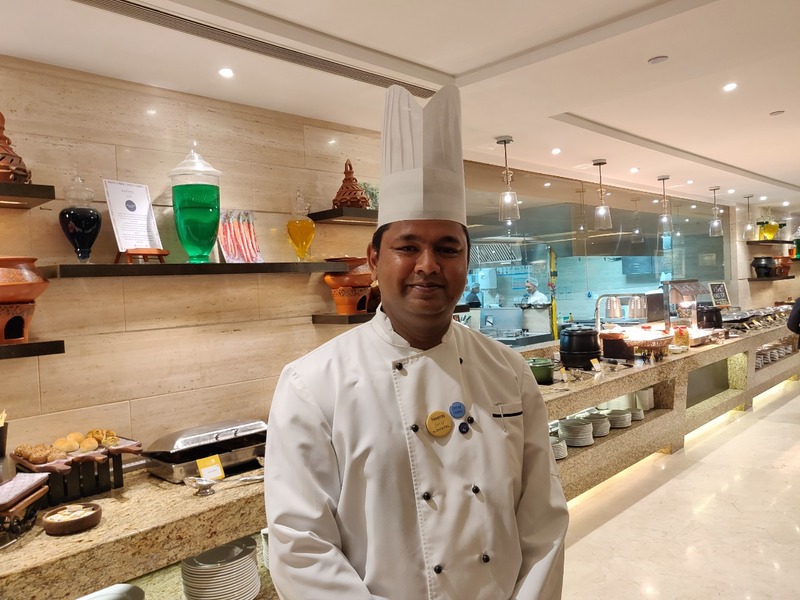 And it was here that I met Chef Neeraj Verma, the Executive Chef of the hotel, who will regale my stay for the next few days with some delicious food. 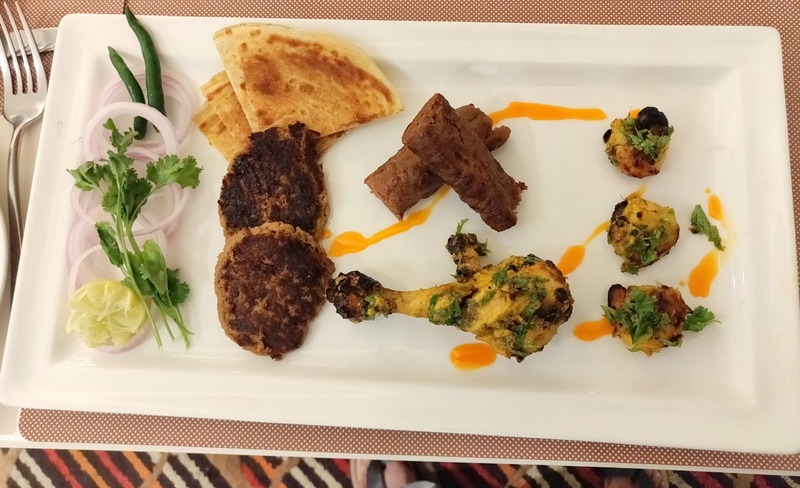 Chef Neeraj invited me to try out their Awadhi delicacies for dinner. 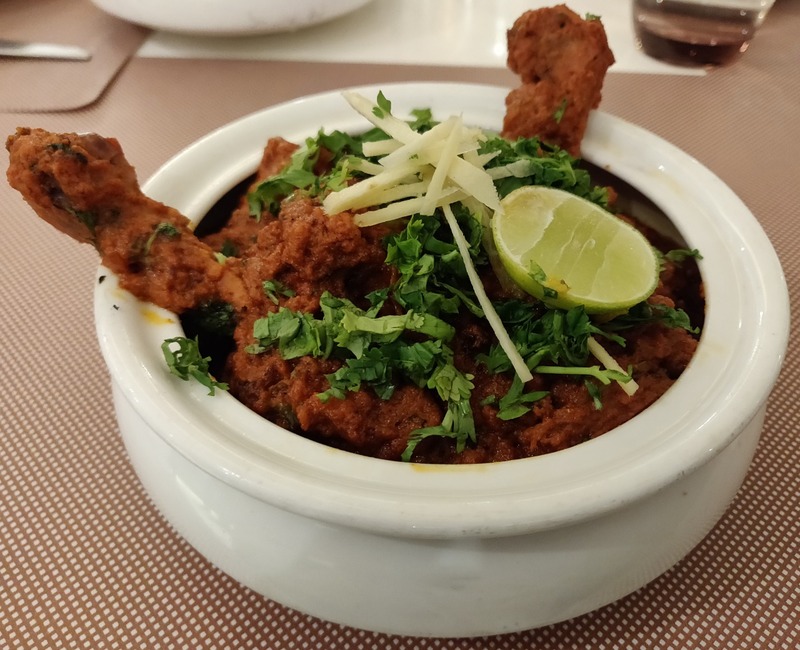 So, after a casual evening walk around the area in Gomti Nagar, we were down at the restaurant for dinner. 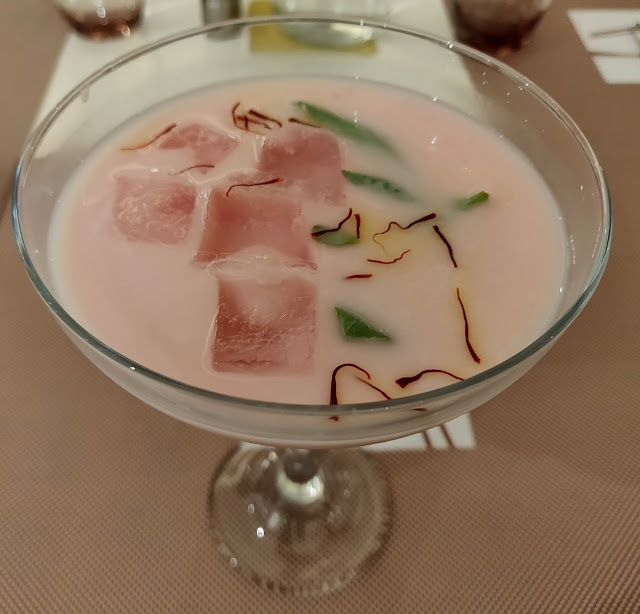 Chef Neeraj was waiting for us and told us that he had prepared a few special dishes for us from the local Lucknavi cuisine. . A Rooh Afza and kewra water based Sharbat e khas was a very good start to the meal. We also had the Awadhi Nihari, Chicken Masala with some very good kulchas as well a comprehensive kabab platter including the famous Galouti. The Awadhi Biryani was flavourful with soft meat and as we will find out later, one of the best we had in Lucknow on that trip (and yes, I visited most of the signature Awadhi biryani places – you can read about it here). 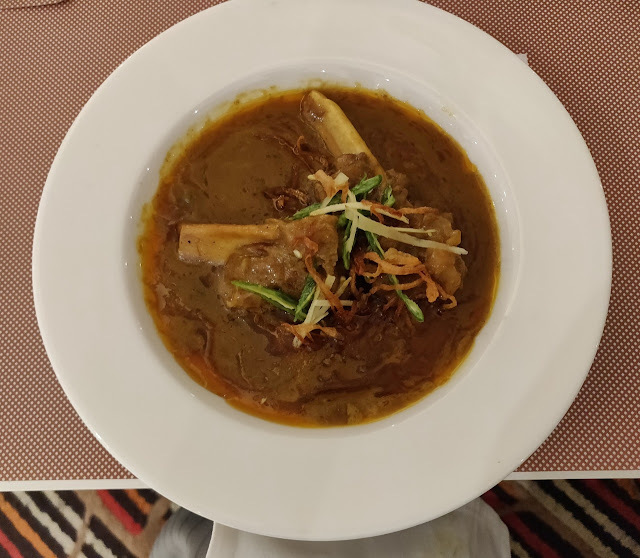 The Nihari with lamb shanks had a silky gravy which we enjoyed by dunking sheermal pieces into. 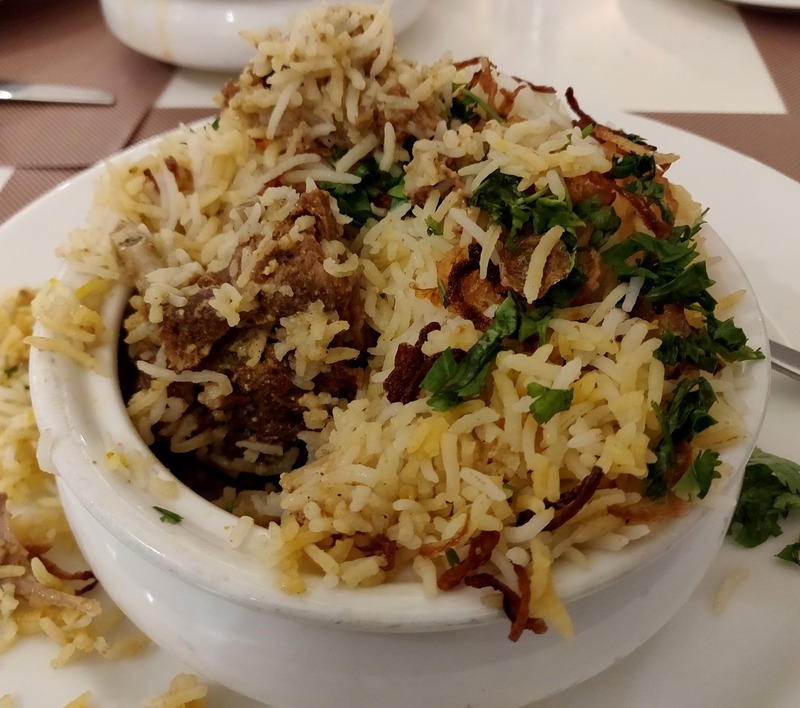 It is important that one indulges in Awadhi food in this restaurant, it definitely does this cuisine on par with the best in the City of Nawabs. The next morning I experienced the elaborate breakfast at the restaurant. 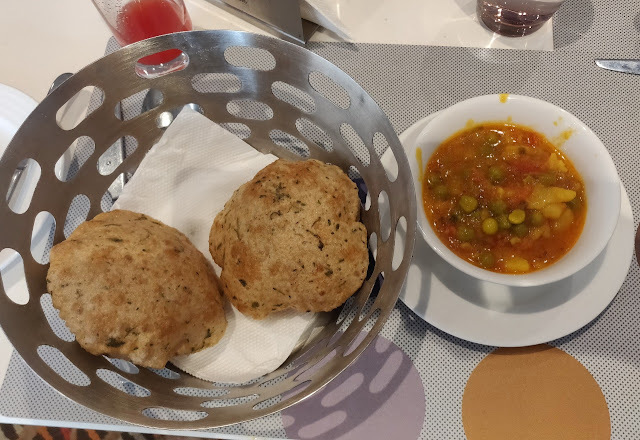 While the spread had food from all over India, and some exquisite cheese varieties, my choice were two of the local dishes – Poori Sabji and Alu Khasta. 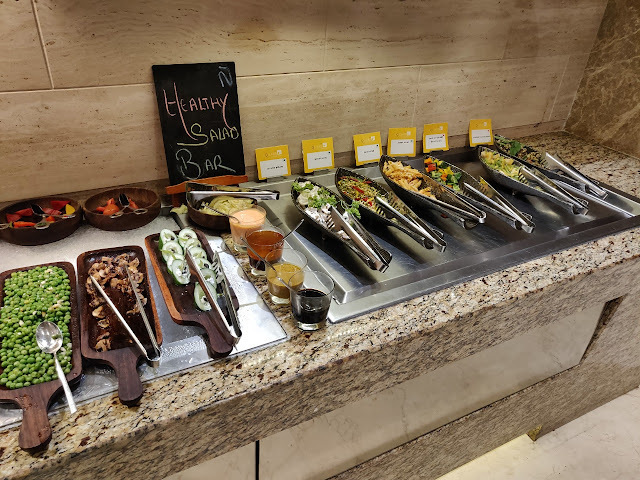 I did not want to stuff myself too much as I was about to embark on a food trail during the day (Read about it here), but the little that I tasted was extremely satisfying. 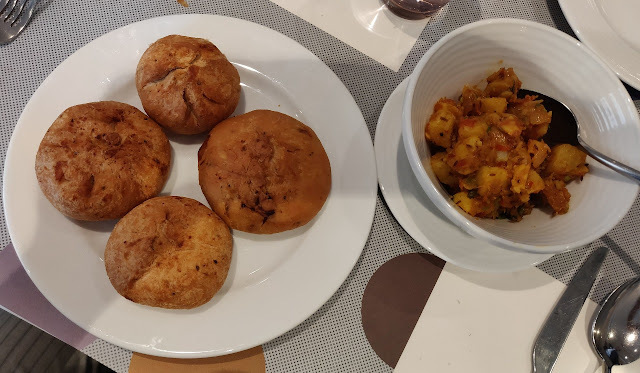 After a long day at Chowk spent eating around and shopping for Lucknavi Chikan, I was back in the evening just in time for dinner. This time Chef Neeraj had prepared some delicacies specifically for me. 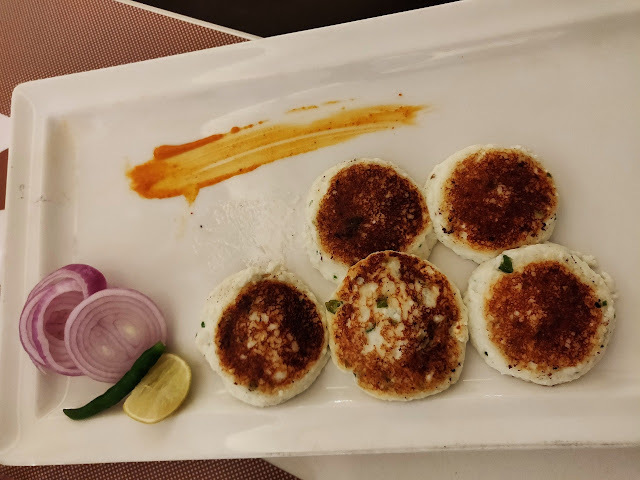 The soft Dahi ke Kabab was one of the best I had of this version. 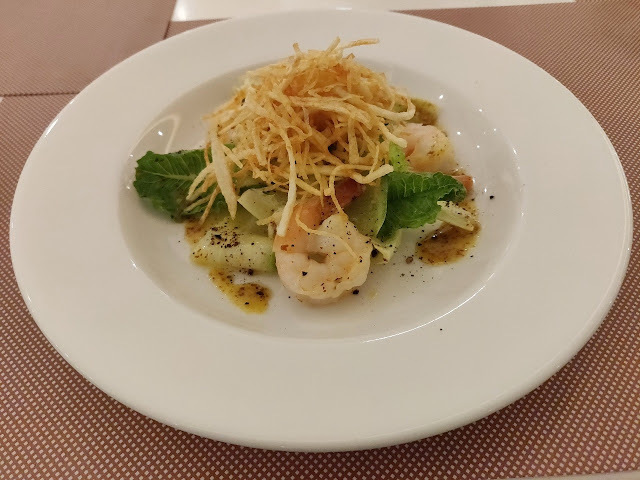 Apart from that, I was exposed to some nice western food – a thick Mushroom Cappuccino, a delicious salad of lettuce and prawns in mustard sauce, and Chicken Breast with Potato Confit. 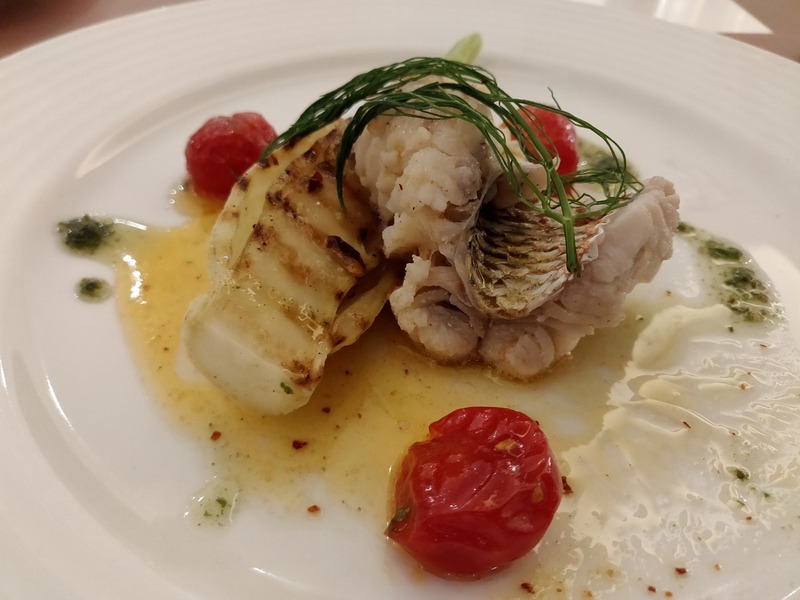 The pick for me was the elegantly done Poached Red Snapper preserving the taste of the fish. 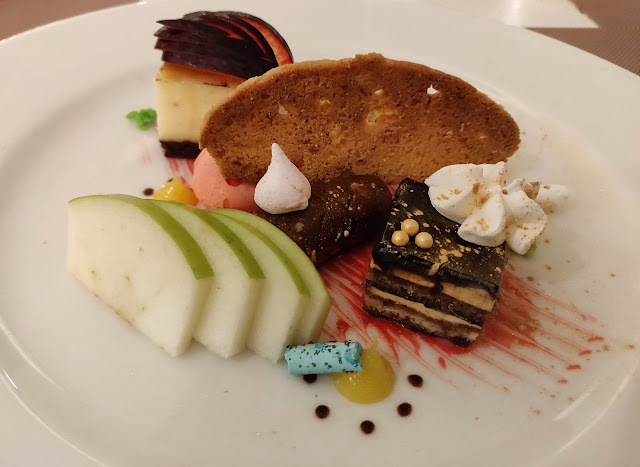 There was also platters of assorted desserts which my wife especially loved. The following morning, we went on a long morning walk around the hotel. The area around is a busy urban area, but the bylanes were extremely peaceful in the morning. There was a lot of greenery around to add to the experience. This was our last day at Lucknow. We visited the tourist points in the city as well as Hazratganj and returned late in the evening. On the last evening, we were fortunate that a Persian Food Festival had just kicked off at the hotel. The restaurant was nicely decked up in an ethnic way for the festival. Iranian Chef Mona who has come down to curate the festival gave a detailed introduction to the cuisine. 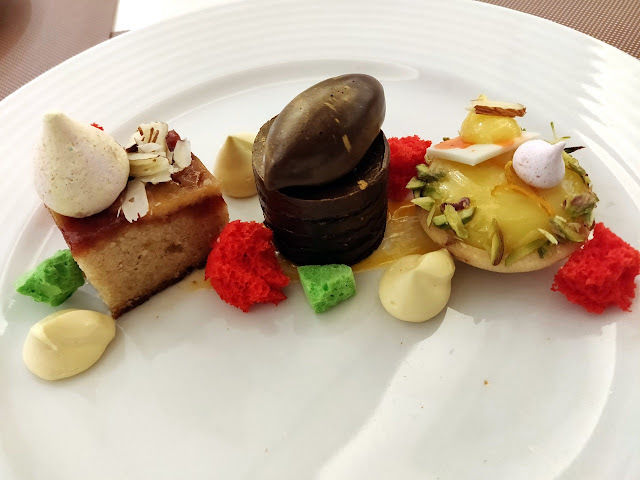 The preparations served used a lot of saffron, black pepper, and of course dry fruits and nuts like almond and walnuts adding a tinge of sweetness to some of the dishes. Dulmeh Kalme (stuffed bell peppers in a gravy), Gosht Adas (mutton cooked with black lentils) and Shireen Pulav (Persian rice and meat dish) were some of my star dishes on the menu. Thus, some great time spent in Lucknow came to an end. And Novotel at Gomtinagar definitely been a gracious host. 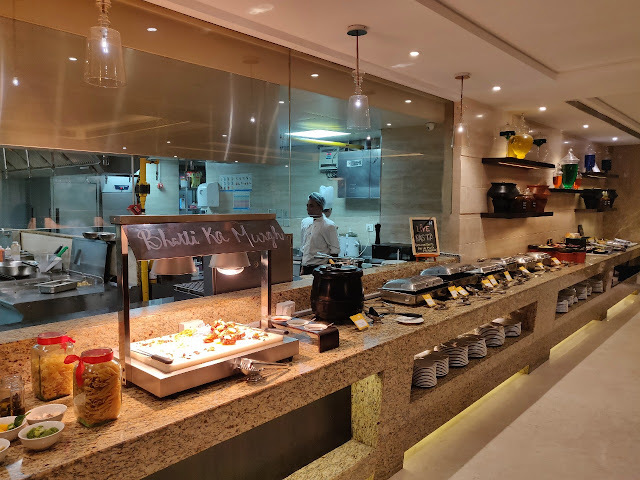 I am not someone who gets satisfied easily regarding food, but I must say I was pleasantly surprised by the diverse and quality dishes served here. And, the hospitality of everyone in the hotel, right from the General Manager to the housekeeping and wait staff amazed me, things were always done promptly and with finesse pointing towards a well-trained staff. 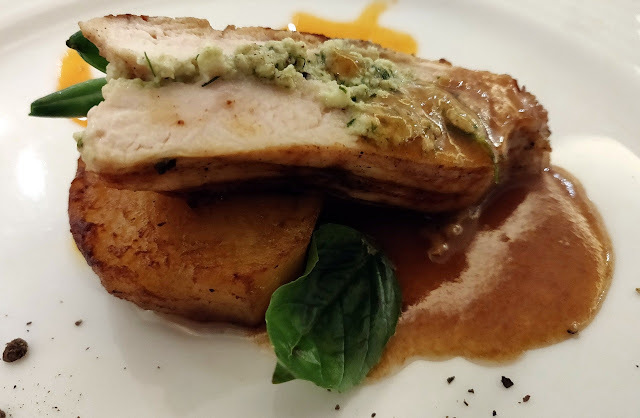 A special thanks to Chef Neeraj for rustling up exceptional food. 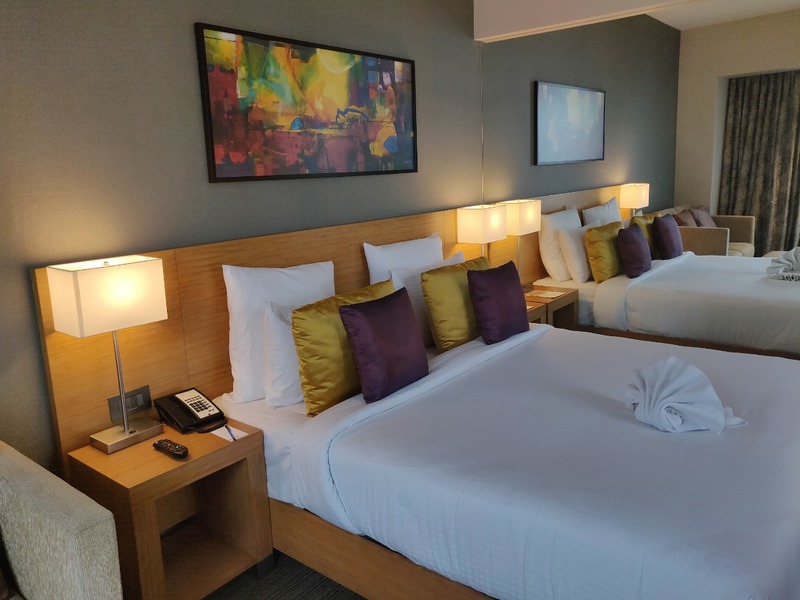 And finally, the location of the hotel is a huge advantage with the conveyance of your choice easily available to all over the city. 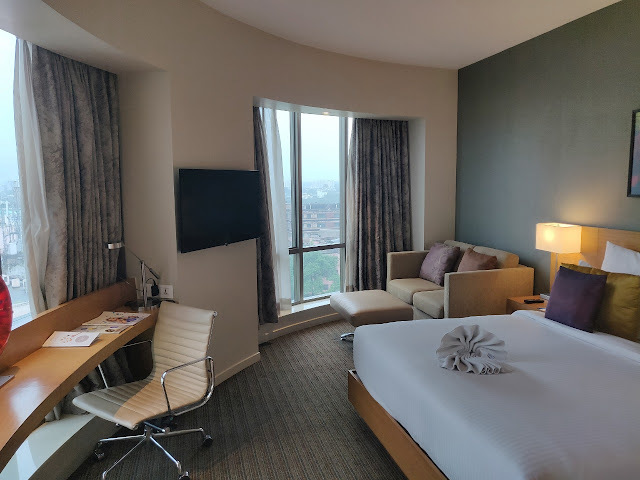 I would definitely look forward to staying here during my next visit to the city.